Two of the teaching staff on our programme are the only academic representatives on the government’s Zoo Expert Committee. With field experience from Kenya to Mexico, our team brings together the academic expertise of University lecturers who’ve led diverse research projects on animal behaviour and welfare around the globe, with the unique insights of key members of the research team from the Whitley Wildlife Conservation Trust (WWCT), based at Paignton Zoo Environmental Park. 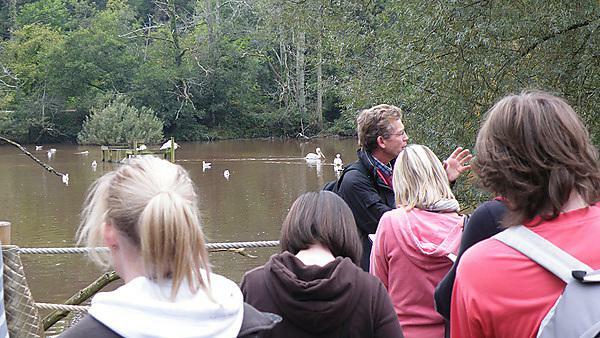 Two of the teaching staff on our programme are the only academic representatives on the government’s Zoo Expert Committee, which works on and develops how the science and business of zoos is translated to government policy. Dr Sarah Collins, Lecturer Animal Behaviour and Welfare. She is particularly interested in the interface between conservation and animal behaviour. Her main research interests are communication and mate choice, and the welfare of captive birds. Dr Amy Plowman, Head of Field Conservation and Research at WWCT, leads the department responsible for zoo-based research and in situ conservation projects around the world. Her main research interests are in the conservation ecology of duikers and nutrition of zoo animals. Dr David Price, Lecturer in Genetics, is interested in the application of population genetics to both the management of captive and natural populations from a conservation perspective. He’s particularly interested in freshwater fish endemic to Mexico, where he has lectured on fish conservation genetics courses.